Lindi here! Happy Saturday. I’m spending the first part of the day running a 5K in Jasper, Georgia. It’s Marble Fest day in the “Marble Capital of Georgia.” Whoo! If you didn’t read my post from last month, you can read it here. It’s part 1 of The Journey. I’m going to continue with part 2 today. Amidst the destruction, they realized their dream was derailed. There would be a detour on the journey. October 6th they arrived back in Atlanta, Georgia to their mother’s arms. Family and friends visited, wanting to hear details about the storm, how people were surviving without electricity, water and such, and what their plans were now. Like their plans would be different? Everything was different except their refusal to let go of the dream. When 2017 turned into 2018, they were on a plane traveling to Puerto Rico, having made their plane reservations before they knew for sure there was electricity in their town. But there was. They landed and made their way back to their apartment, their care, their dream. The next seven months proved invaluable as they made new friends, were employed, and learned so much about their town, the people, the agriculture. So much in fact, they left their jobs and started their own business. Okay, so honestly this reads like one of my romance novels. I love a happy ending. And this truly is a happy ending-in real life. It does happen. But it wasn’t easy getting there. And that’s the joy of reading romance novels. Yes, there are the great endings, but the middle of the journey is peppered with strife, conflict, disappointment, heartbreak and so many other emotions, that we are really reading for the journey. I’m sure all of us could write a story about certain parts of our lives that sound similar to the journey my son and his wife are on. We’ve all gone through hard times and heart ache. We also learn as we go. We learn from mistakes. And as we make mistakes we grow. And as we grow, we teach and influence others. Journeys are amazing! 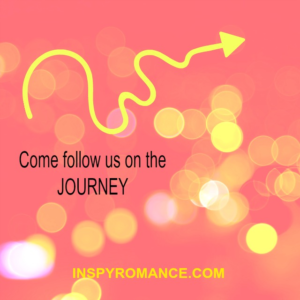 I’ve been on a journey with some of the ladies from the Inspy blog. We have put out a boxed set of Christmas novels! A Christmas to Remember. Can past hurts change the course of current betrayal? Scarlett Davis, still reeling from her twin sister’s betrayal, is laid off from her marketing job days before Christmas. Stunned, she has no idea what God is doing. Mason Langford runs a homeless shelter in Atlanta, but unless he finds the promise of funding, will have to close the doors January first. It seems natural for Scarlett to help Mason with his funding proposal. But when she learns the reason behind his strained relationship with his twin brother, she can’t wait for the project to be over. 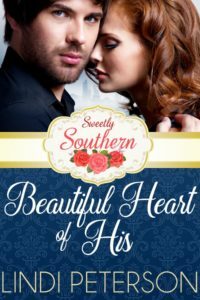 Scarlett can’t believe that Mason, who everyone describes as a man with a huge, beautiful heart, has such a past. When Mason tries to speak into Scarlett regarding her relationship with her twin, she doesn’t listen. Scarlett knows healing comes from forgiveness. Will Scarlett remain steadfast, refusing to open her heart, or will past hurts change the course of current betrayal, so Scarlett can learn to love? Scarlett was a difficult character for me to write. I wanted her to be hurt, yet open when love did step in. I know at time I’ve been blind to what is going on around me because I’m in my own well of “fill in the blank emotion.” Hurt, sadness, even joy. I hope I did her justice. I know we talked about journeys in the comment section of my September post. If you want to share a journey here, please do so! I also have a question for you. (Actually a couple!) 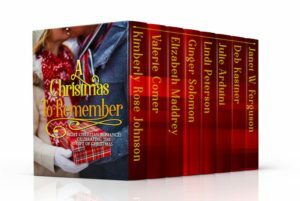 How many Christmas romances do you read between now and Christmas, AND are there any you reread every year? I will give away 2 E copies of Sweet Love of Mine-Book 1 of the Sweetly Southern Series where you meet Scarlett for the first time, to 2 different commenters. Hi Wemble!! I love to reread stories as well. :) I’m glad you found a set that you enjoy. I have no idea how many Christmas romances I’ll read before Christmas. I read them anytime I get to them. It doesn’t have to be Christmas. I hope to read the new Inspy boxset soon so that will be several. I seldom reread books. Too many unread ones waiting! I read as many as I can, but never reread them. I have far too many books in my Kindle. I am a voracious reader but not a fast reader. Hi Linda–I have so many on my Kindle that I haven’t read. And they are ones I paid for and truly want to read. I need time to just kick back and read! I love Christmas novels, one of my favorites is Merry Kisses by Valerie Comer! Yay for the shout out to Val! I haven’t read that one, but I love the title. I need to get it and read it. :) Thanks for the suggestion. I don’t have a number for you, but I’ll read as many Christmas books as possible between now and then! Any on my list that I don’t get to by Christmas will be read anyway because I love Christmas stories/music/movies year round. I don’t reread Christmas stories every year, but probably would if there weren’t so many new options each year. I enjoyed reading Scarlett and Mason’s story this morning. Tiny problem in this blog post…Under the picture of the Christmas to Remember box set. “The novella I have written is Beautiful Heart of His. It’s the story of Scarlett and Maddox.” I think Maddox is supposed to be Mason. There are some very good Christmas books available, I won’t be rereading any this year. However, I will be reading Christmas books (for review) in November & December. I’m wanting to hear more about Peurto Rico. Is there a part 3?